When I left Cardfight Pro behind, I asked all of my patrons to cease their donations. I didn't want to take their money while I wasn't producing content. Ambiguously, I said that I would repurpose the Patreon page when I worked out what my new proposal would be. I now understand what I should direct my abilities to. My four years at Cardfight Pro ended because I stepped down to begin working on something that I could pour all my heart into. 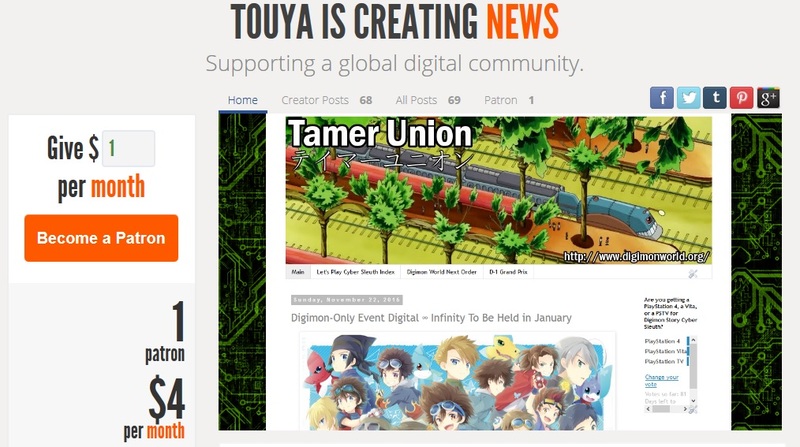 I want to create a strong centralized news source for all things Digimon, one that will close the gap between the western fandom and overseas news by reporting reliably, honestly, and quickly. I've begun by translating Japanese magazine articles, press releases, products information, and fan pages. As tournament play for modern Digimon games like Cyber Sleuth begins to develop, I want to take advantage of a unique opportunity to restore Digimon's lost legacy; the D-1 Grand Prix. 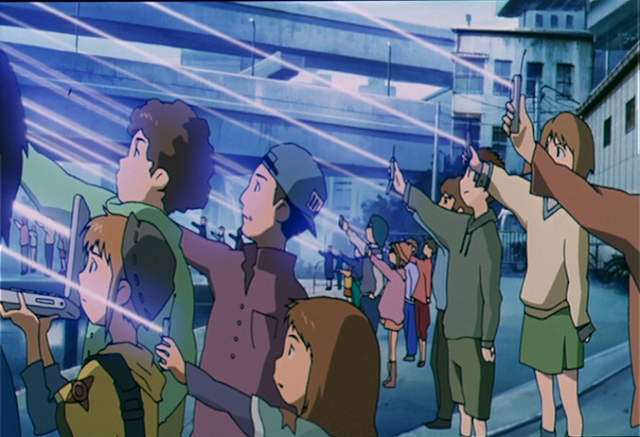 In doing so, I plan to follow closely and promote the mobilization of the world's Digimon tamers. To help inform and educate on how fan events are being run overseas, and how we can apply those methods to our own countries. This is a fandom that has been scattered to the winds time and again, yet always perseveres. We all wish Digimon could have the kind of artistic freedom that Pretty Cure, Super Sentai, Pokémon, and other long-running series have. Right now we're in a tightrope situation such that if one Digimon series underperforms, it's an immediate franchise killer. Imagine if instead of playing a guessing game of whether or not Digimon would be alive every year, we could be guaranteed the stability of a new season annually regardless of its critical and public reception. Internet forums have played an instrumental role in uniting the fanbase, but in terms of their mainstream exposure these methods of information distribution are too insular. It's difficult for everyday people to be exposed to a website like With the Will, Digital Dive, or one of the other big names in the forum community. Some of these have fallen into disuse or disappeared entirely. What we need is a resource that is as accessible to the general public as an off-the-rack magazine, and is willing to institute the necessary measures to be indexed by popular search engines, aggregators, and social media platforms. This will help sustain our membership. My vision is to help cultivate the global digital community laid out in Our War Game, Adventure 02, Diablomon's Counterattack, and Digimon Story. Not just to dictate a body of "news" to the public, but to contribute to a network of fans that can keep each another informed, exchange ideas, and support one another. There will come a time when Bandai & Toei will try their hands at airing another weekly Digimon series. When that time comes, we will be ready for their pass. I have a wealth of experience to draw on, having helped support and organize tournament play for Cardfight!! Vanguard and contribute to the TCG's growth in the west. The training I received from several eminent journalists will inform how I operate Tamer Union in the years to come. Donate what you feel comfortable donating. Whether it's $2 or $20, I want to prove to you all that I'm worthy of your pledges. Securing funding and building my audience are my primary concerns right now; everyone will be given appropriate credit for their contributions, and it's my plan to build towards setting up event organization and announcement through Tamer Union when it becomes practical to create funding goals to pay for those events.